This is a 2016 Barbie Convention sofa that a fellow one-sixth enthusiast brought to my attention. It's common that conventions in this hobby have unique items made to commemorate the event. 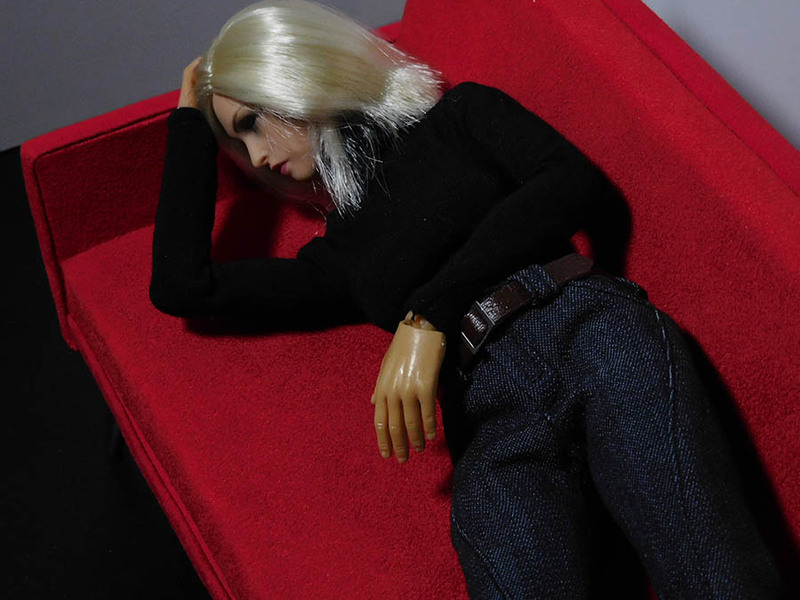 This is not a typical under scale Barbie sofa. In fact, the Mattel name does not appear anywhere on it so it's unlikely they made it. It's made of wood and a soft felt fabric; a hefty, stable piece of furniture. And I guess that's the ultimate endorsement for a sofa!